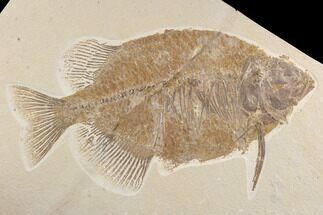 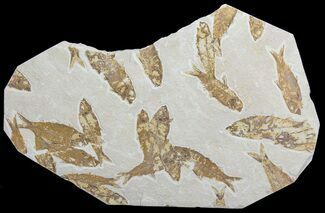 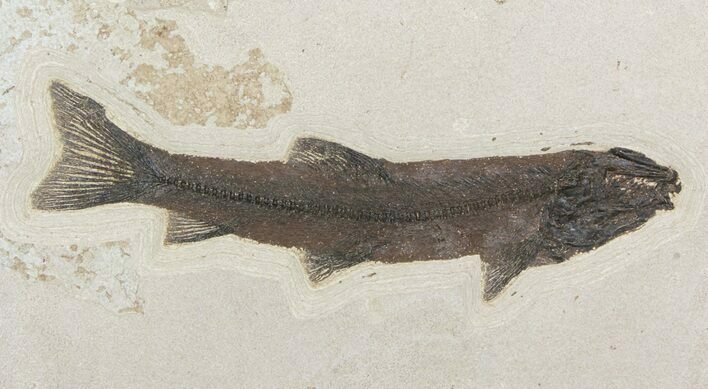 This is a large, and very nice specimen of Notogoneus osculus one of the rarer species of fish from the Green River Formation of Wyoming. 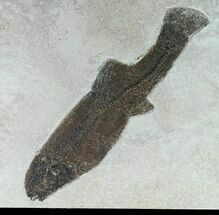 This specimen is 17" in length and located on a thick 31x21" slab of shale. 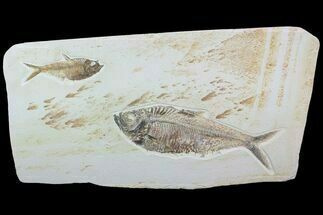 The rock has been backed with wood for stability and a wall hanger installed, making this a very elegant, decorative specimen that can be hung on a wall. 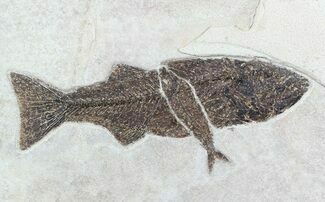 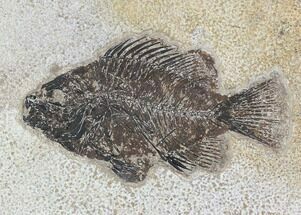 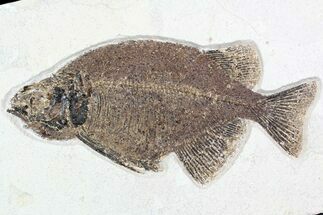 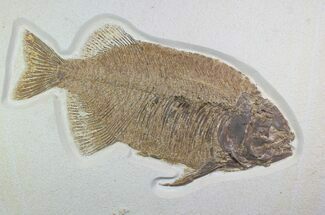 Notogoneus was a predator and the down-turned mouth is probably an indicator that it fed on prey at the lakes bottom. 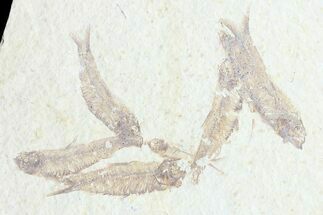 It is thought that it's scarcity results from the fact that it is felt it migrated between the lake and the rivers that fed it throughout the year to feed.